An Alabama mother (Sally Field) gives birth to a son who has both mental and physical impairments. She is dedicated to her son, Forrest (Tom Hanks) and gets him into school with the rest of the children. Forrest is an outcast from the start, but finds a friend in Jenny (Robin Wright). Forrest and Jenny grow-up together, during which Forrest fall in-love with Jenny. They then head their separate ways in early adulthood. Jenny leaves for college and Forrest joins the Army. Forrest is swept-up in the Vietnam War where he fights under the direction of Lieutenant Dan (Gary Sinise). Forrest makes it home and searches for Jenny. She is now living an alternative lifestyle full of partying and drugs, and makes Forrest leave her alone. After Forrest's mama dies, Jenny shows up at his house. The two spend time together, and after a special night, Forrest wakes to an empty house. A few years pass and Jenny writes to Forrest—she has news that will change his life forever. 9.7.2017 georgecuthbert inserted real photo of the filming location Forrest's speach of the Movie Forrest Gump. 5.11.2015 keclinda inserted real photo of the filming location Forrest ends his running of the Movie Forrest Gump. 14.8.2015 antibo inserted real photo of the filming location Forrest ends his running of the Movie Forrest Gump. 14.12.2014 speedees inserted real photo of the filming location Forrest's speach of the Movie Forrest Gump. 18.1.2014 renegypsy inserted storyline of the Movie Forrest Gump. 16.8.2012 mERRth inserted filming location Forrest ends his running of the Movie Forrest Gump. 16.8.2012 mERRth inserted filming location Forrest is running down the road of the Movie Forrest Gump. 16.8.2012 mERRth inserted filming location Near the lighthouse of the Movie Forrest Gump. 4.7.2012 mERRth found address of the filming location On the Bench of the Movie Forrest Gump. 4.7.2012 DaveCarr found address of the filming location Forrest's speach of the Movie Forrest Gump. 4.7.2012 DaveCarr found address of the filming location On the path of the Movie Forrest Gump. 4.7.2012 DaveCarr found address of the filming location On the street of the Movie Forrest Gump. 3.7.2012 mERRth inserted filming location Forrest's speach of the Movie Forrest Gump. 3.7.2012 mERRth inserted filming location Jenny's house of the Movie Forrest Gump. 3.7.2012 mERRth inserted filming location On the path of the Movie Forrest Gump. 3.7.2012 mERRth inserted filming location Forrest's house of the Movie Forrest Gump. 3.7.2012 mERRth inserted filming location On the street of the Movie Forrest Gump. 3.7.2012 mERRth inserted filming location On the Bench of the Movie Forrest Gump. 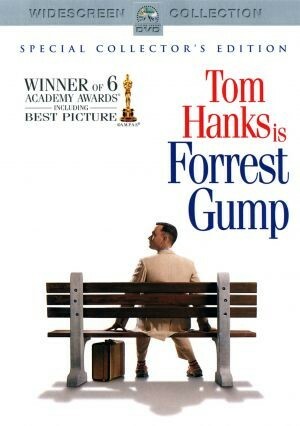 3.7.2012 mERRth inserted new Movie Forrest Gump.